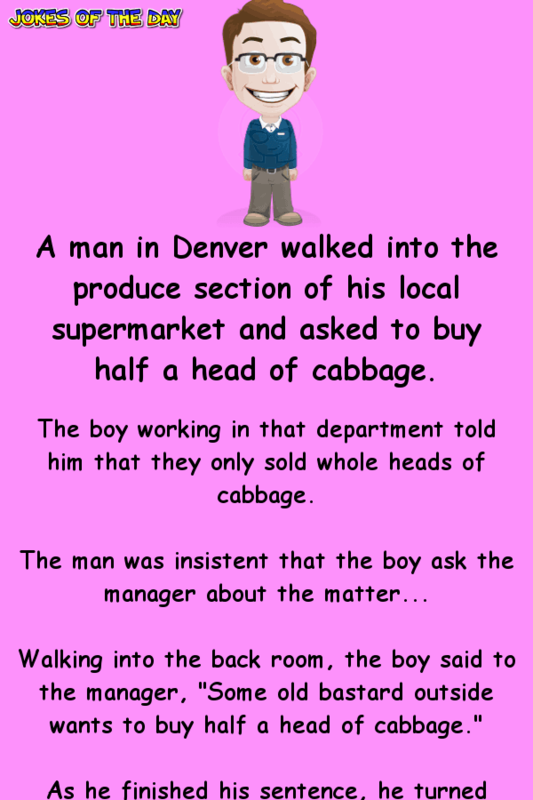 A man in Denver walked into the produce section of his local supermarket and asked to buy half a head of cabbage. The boy working in that department told him that they only sold whole heads of cabbage. “Russia, sir.” the boy replied. “Why did you leave Russia?” the manager asked.